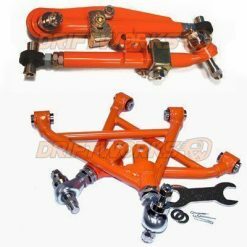 Adjustable arm with Japanese three peice bearing to replace standard arm and bushes. 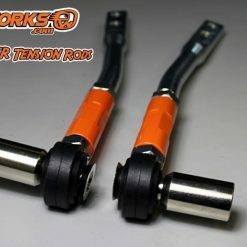 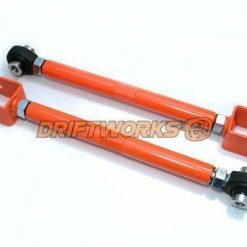 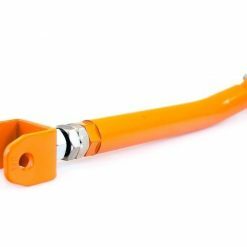 Driftworks adjustable traction rods replace the standard non adjustable Nissan arm. 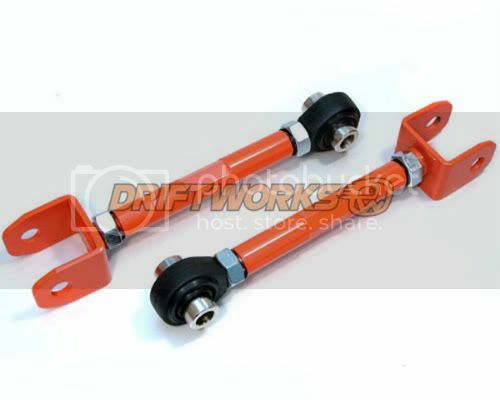 Adjusting this arm’s length decides how much toe is given to the rear wheel under suspension compression and allows you to widen the track without compromising the geometry changes under load. 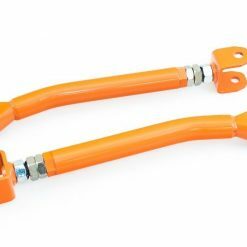 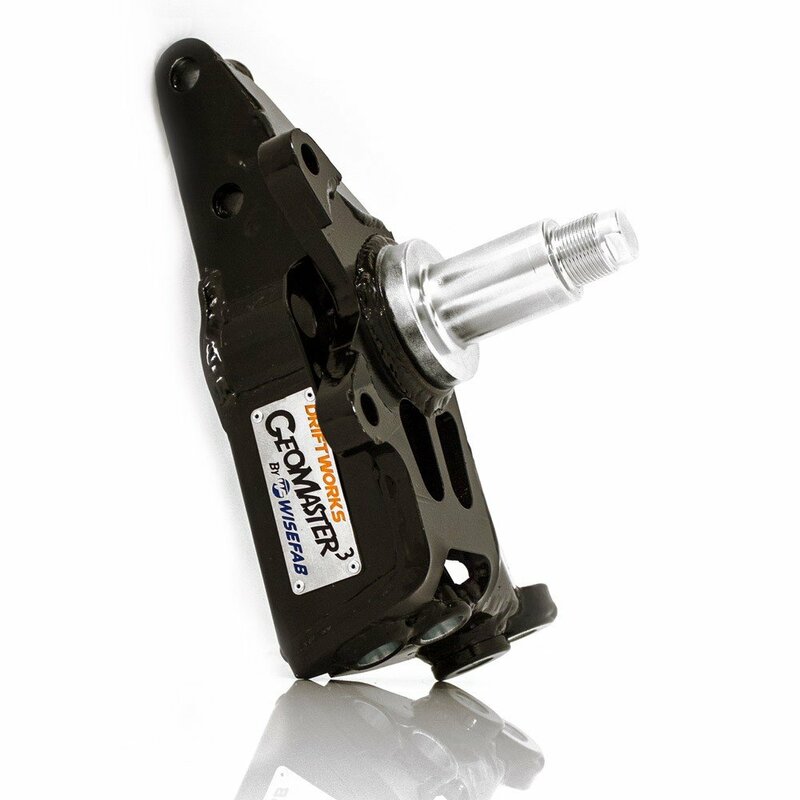 They also eliminate another of the unwanted standard rubber bushes from the rear suspension setup, and any potential flex in the standard arm, contributing towards that perfect handling car.